I am so, so glad I finally read this book. A dear friend keeps sending me Valente’s books, and I’ve completely devoured all of them so far. Deathless is a blending of several myths out of Russian/Slavic mythology, regarding Koschei the Immortal and Marya Morevna. I freely confess that, while I have passing familiarity with the source material, I don’t know enough to know how much of this was Valente’s invention and how much of it comes direct from the tradition, but either way, Valente weaves those tales together with the history of Russia in the first half of the twentieth century, from the Revolution through the rise of the Cold War. The ancient themes play out against the increasingly grey background of Russia’s national fate, sprinkled now with details like rifle-demons and house-imps who learn the communist virtues of sharing their abodes collectively. Koschei, Tsar of Life, engages in his eternal battle with his brother Viy, the Tsar of Death — but the world, unarguably, is changing, and the war that was never going well is even less optimistic in these times. Human events allow Viy to claim more and more quickly than he ever has before — or does Viy’s success reflect itself in the mortal world and spur those catastrophes? The lines between Koschei’s country, Viy’s, and ours are blurry to begin with, and the smudges defining their boundaries get all the more smeared as the years progress. You know from very early on in the book that, eventually, you’re going to encounter the Siege of Leningrad and all that that entails — it looms over the story, particularly as the fairy-tale-like vagueness about time blends with the absolutism of mortal time, leaving the reader wondering when, when is this awful inevitability going to come to pass? The central story of Deathless is that of Marya Morevna, a heroine too aware of her role in the story. She watches as three of Koschei’s lieutenants turn from birds into men in order to woo her elder sisters, and so knows early on how her life will go — except that, then, it doesn’t. Nothing in this book goes quite as planned. The world has many secrets and tripwires. It doesn’t happen as she expected, but Marya finds herself seduced by Koschei, spirited away to his country, which is both of our world and beyond it, in the way of fairy tales. Though he cherishes and spoils her, and though she makes friends in this land and takes to its customs, she must still pass trials before she can become his bride in truth. The story is not as simple for her as for other heroines, though, particularly as she learns how many of those heroines there have been in Koschei’s past, and what ends they came to. There is an Ivan. There is always, we are told, an Ivan, a simple but lucky golden young man who steals away Koschei’s bride. Marya knows this, sees what happens to the faithless girls, the Yelenas who have abandoned Koschei in the past — locked in a factory, wiped of mind and will, slaving away at looms to create cloth-soldiers for his army. Marya determines that she will never give in as they did — but to do that, she has the weight of a lot of tradition to fight against. The threat of Ivan, like the doom of the Yelenas, looms over the story like a storm waiting to break — and when it does, things change, but never in the predictable ways, for all their inevitability. 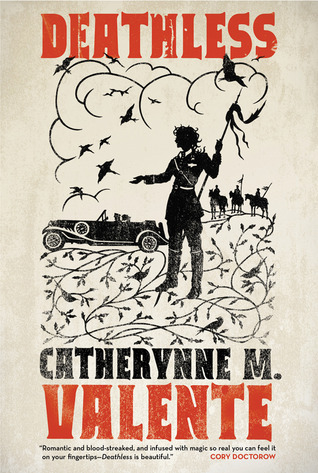 As with the Orphan’s Tales duology, Deathless lets you know that Valente is a writer absolutely steeped in mythology of all kinds. She must have been marinating herself in it for years, and the investment has paid off remarkably. Over the past two years, she’s become one of my favourite authors for that very reason. In many ways, this book reflects versions of the katabasis story type that are much older than Hades and Persephone. I don’t know as much about the traditional myths of Koschei and Yelena, or Koschei and Marya, but what this made me think of was Inanna, the Sumerian goddess, descending to the depths, shedding layers as she goes – first clothes, then skin, then self. Marya’s initial trip in Deathless echoes this more subtly, but the shedding – and subsequent rediscovering – of self continues throughout the novel. There are rituals, going in and coming out, repetitions and reiterations as there must be in myth, but it still remains the story of a woman giving all for — what? With Inanna, we never get to know. Other heroes who make the journey have a very specific purpose, but for a heroine, the sources don’t tell us — and so with Marya. Does she go — in either direction, in or out — because she must? For love? For family? For nostalgia or desperation or curiosity? Even Marya does not always know, which is, I think, as it should be — we don’t always know why we make the decisions we do, all the more difficult when a story is riding you. From another angle, Deathless is as fine a representation of a Dominant/submissive relationship as I’ve yet seen in literature. Everything that The Claiming of Sleeping Beauty isn’t, and even beyond what we achieve in Kushiel’s Legacy, Deathless explores in glorious abundance. 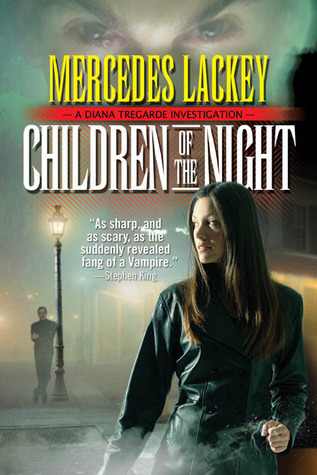 None of the other reviews on Goodreads or elsewhere seemed to discuss this, which is perhaps unsurprising. I don’t know that it’s put in terms that are blatant to the unfamiliar, but to me, as someone… let’s go with ‘initiated’, it stands out. I wanted to find a quote to exemplify this, but it’s difficult, because so much of it is written in subtleties. When Koschei entices Marya away from her home in unglamorous then-Petrograd, he requires her silence and obedience as he both cossets and chastises her. He gives her everything, showers her with gifts, and she starts to become half-demon herself, but she must also learn not to drown in it, to assert herself in turn, to grow from the lessons he and his country teach her. I don’t want to give too much away, because this is definitely a case where the telling of the tale should go unspoiled, but the tables do turn — more than once, really, some of them on mythological axes, some on more modern. It is, as all good love stories ought to be and as more D/s stories need to be, about the figures involved finding their matches in each other. It is about power, but more about negotiating that power, taking it and trading it and yielding it, not just becoming locked into a prescribed fixed pattern — and in that way, the relationship is a microcosm of the storytelling itself, exploring the places where the patterns are useful and where they can and should be coaxed, cajoled, or kicked into a new form. In the end, the question that Baba Yaga poses is the important one: Who is to rule? That question, central to Koschei and Marya’s relationship, echoes throughout the book — Who is to rule Russia, the tsars or the Party or the Germans? Who is to rule Earth, the Tsar of Life or the Tsar of Death? Who is to rule Marya, herself or Koschei or Ivan or someone else, or the inexorable story she treads in? Her human self or her demon self? The answers are far from obvious — particularly in such a changing world, where things no longer are as they always have been. The expected does not always manifest. Marya’s choices, Koschei’s, Russia’s, they all intertwine, weaving together into an enchanting if occasionally horrifying narrative. Deathless does not end as easily as fairy tales ought to, and there are still things there at the end for the reader to untangle for herself. 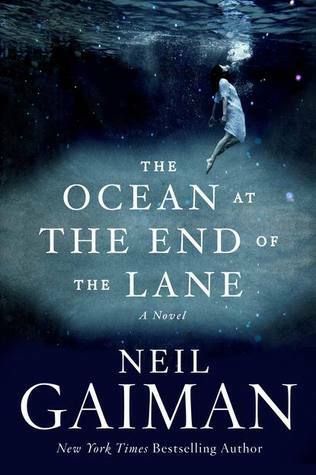 I highly recommend this book to any fans of folklore and fairy tales, particularly if you’re someone who enjoys modern, magical-realism twists on them, or else the grittier, less forgiving, less redemptive versions of the stories. 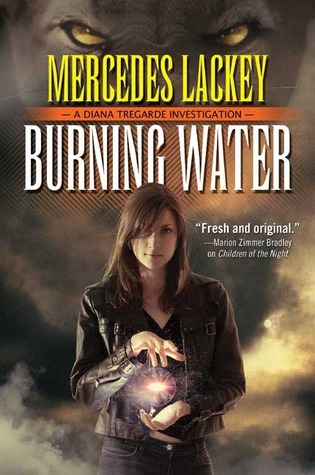 This is, like The Orphan’s Tales, a book I almost want to start all over again immediately after finishing it. Valente’s writing voice is exquisite — dark and lyrical, utterly poetic yet entirely unflinching from the harsh and the ugly, with a cadence familiar yet enchantingly new. Marya’s twisted, torquing path is one I’m eager to tread again. This is one of those things where I love the book, and I love the movie, but they are completely different stories, and I love them in very different ways. Most people know the movie but not the book, and in a lot of ways, that’s a shame. The book is not as easy to digest. The characters are more complex and not always as likeable, but they’re very real. But that’s a lot of why I like it. I find something to empathise with in almost all of the main characters, and sometimes it’s for their flaws rather than for their virtues. Sally’s sense of justice, Gillian’s need to be adored, Antonia’s childish selfishness, Kylie’s spooky intuition. I don’t identify with any one of them entirely, but I can see some part of myself in each, and that makes the book thoroughly enjoyable. The story: Sally and Gillian, orphaned at an early age, grow up with their aunts (or possibly great-aunts; it’s never made quite clear, but it doesn’t seem possible, age-wise, that Jet and Frances are their mother’s sister). Strange things happen all around their family, giving them a reputation for witchcraft and leading to the girls being ostracized by their peers — but the women of their town still come to the aunts for advice and help. The sisters grow up quite close, having no other options for companionship, despite how different they are; they also learn learn by negative example, watching the women who come to the aunts, crazy for love. They both end up building high walls around their hearts, though in different ways. Sally eventually does love and marry, but falls into a deep year-long depression when she’s widowed; Gillian begins using and losing men from the age of 14 on, tearing through hearts with no conscience or consequence, until a brute named Jimmy hooks her but good. Both girls end up running away from their childhood home, though it takes Sally rather longer to make the break. They don’t see each other for eighteen years, during which time Sally’s daughters grow into teenagers — nowhere near as close as she and Gillian were. Antonia is spoiled and self-centered and often quite cruel to younger, awkward Kylie. Their lives up-end, though, when Gillian turns up unexpectedly with Jimmy dead in the car, believing she accidentally murdered him by dosing him with belladonna. She and Sally bury him beneath a lilac bush which is soon overteeming with unseasonal blooms. His malevolence bleeds from beyond the grave, putting all four women at each others’ throats until they can determine to come together to rid their lives of the influence (with a little help called in from the aunts). 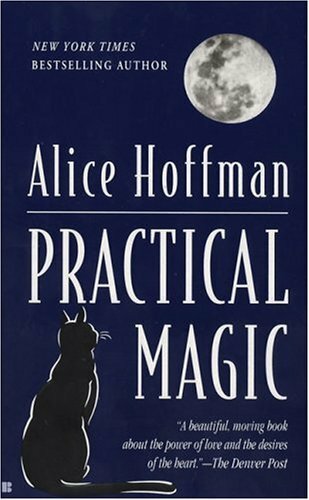 The book isn’t called Practical Magic for nothing; the magic is far less overt in the book than in the movie, almost accidental in lots of ways, nothing more than folklore in others. But it definitely is still there, an undercurrent — whole sections of the book will go by that are just about life, plain and simple, and then one little thing will pop up to remind you that the Owens women are not like everyone else. But throughout it all, they are also still women — who grow, and make mistakes, and snipe at each other, and regret it. There’s a lot in there about growing up — not just in the obvious ways, as we see both sets of sisters through the ever-tumultuous teenage years. It was Gillian’s story, more than any other, that hit me this time around. Not that I’ve ever been as reckless as she is, but her lesson is one of recovering from damage and learning to trust. For both her and Sally, the romance is another understated theme — but an important one. Love catches them both by surprise, but when it hits them, it seems to do so like a ton of bricks. Things fall into place, despite the challenges, despite their damage, and when they do, both the women know it’s meant to be. And I find that inspiring. Practical Magic is a great book and terribly compelling. It weaves reality in with the paranormal in a way that is so simple and elegant — no flash, no pretense, just human lives that happen to be touched by this little bit of something extra. Alice Hoffman is wonderful with creating complex, dynamic characters who are at once so special and so relatable. Highly recommended — especially if you like the movie. The book is different, as I said — less simple, less comical, with a more subdued supernatural element — but still definitely worth the try. When I’m reading a book and come across a passage I really like, some quote I want to write down later or remember forever, I have a terrible habit of dog-earing the bottom corner of the page. The bottom of Good Omens looks like a particularly jagged comb. Apart from being one of my all-time favourite novels, Good Omens just has so many of my all-time favourite passages in it, and I attribute that to the combination of genius you get by mixing up Neil Gaiman and Terry Pratchett — two of my all-time favourite authors. 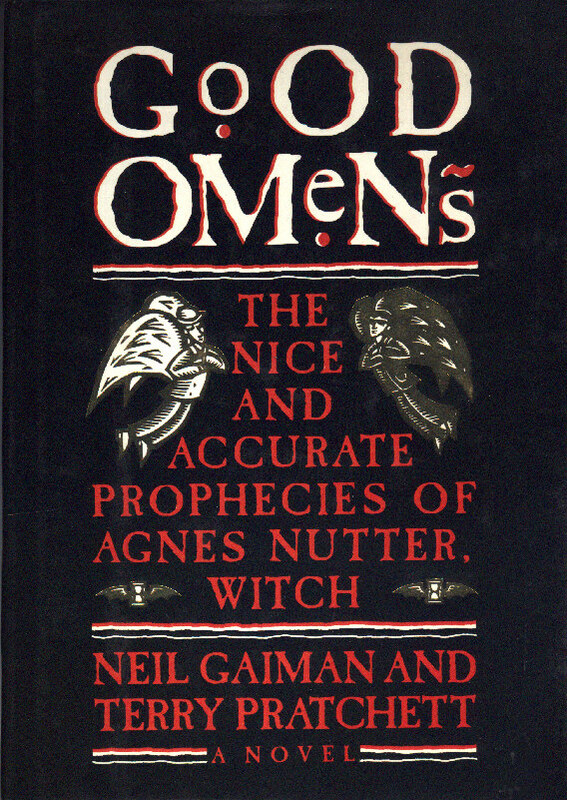 Pratchett’s irreverence and Gaiman’s ethereal qualities, with the sense of the ludicrous profundity that they both possess, together make for a fantastic book, capable of being laugh-out-loud funny and spiritually transformative in the same paragraph. So what is this book about? Well, the Apocalypse. Happening on a Saturday (in 1990). Eleven years earlier, the demon Crowley manages to misplace the Antichrist (with some help from a Satanic nun), so that while the powers of Heaven and Hell think they’re focusing their efforts on influencing him towards Good or Evil, they are in fact just confusing a normal child, while the Antichrist, alias Adam Young, grows up as normal as you could please in an idyllic English country village. He’s a good-natured troublemaker, the leader of his gang, the Them, and has astonishing powers of imagination and a limitless capacity for belief in the incredible. When he turns eleven, gears start moving to start the Apocalypse — but Crowley and his angel friend Aziraphale, who have been on Earth for six thousand years and rather gotten to like the human race, decide to try and put a stop to it. Swept up in this mess are Anathema Device, professional descendent, whose ancestress Agnes Nutter wrote the only truly accurate book of prophecy in the history of the world; Newton Pulsifer, a would-be computer engineer who breaks everything electronic he touches; and a whole host of villagers, Atlanteans, Tibetans, and other phenomena. I never can decide what my favourite aspect of this book is. The moral center, as it were, is obviously Adam, who starts to get caught up in the idea of remaking the world in a more favourable image, the ichor in his soul tugging at him, and has to decide what would really be best. He and the Them are pretty amazing. The description of Pepper (and the explication of her name) is a dog-eared page; sensible Wensleydale and grungy Brian fill out the quartet in excellent balance, and through them, the reader experiences the awe of an idealised childhood. This certainly doesn’t mean that everything is perfect and flawless — do you remember being a kid? The best days were the messy adventures, the ridiculous schemes, the trouble you got into but had had too good a time to care. Adam makes sure his friends have that damn near every day — until Armageddon starts spinning things out of control. So that’s a lot of fun to watch happen. (Though I do wonder if it will resonate quite as strongly for this generation’s kids, who are less used to taking off on their bikes, taking over the quarries and ravines that adults won’t go near, scaling trees, skinning knees, finding impossible messes, tangling in nettles, staying out until the last possible minute you could get away with, and all the other things that used to be de rigeur for an active childhood. I remember that from my early years; I don’t know that all modern kids have the same experience — which is sad). Aziraphale held out his hand. Aziraphale and Crowley are probably the ultimate fan favourites of the entire book. When fancastings get discussed, it’s usually about them (and I’m all for Jude Law and Tom Hiddleston, respectively, for what it’s worth). But then you get some of the other humans. Anathema Device is a witch in the same cast as Discworld’s, practical and quick-thinking. Poor Newt is sort of charmingly pathetic. The history of the Witchfinders’ Army is entirely ridiculous. Andthen there are the Four Horsemen, riding inexorably towards Adam (on motorcycles), who are some of the most evocatively drawn characters I’ve ever experienced. From them, I get what might be my favourite passage in the entire book, if only because I have so often found it applied to myself. And it is, well, rather perfect. The men in the room suddenly realized they didn’t want to know her better. She was beautiful, but she was beautiful in the way a forest fire was beautiful: something to be admired from a distance, but not up close. And that’s sort of the way the whole book is written — the language isn’t but so sophisticated, it’s not a difficult read, but it’s nonetheless complexly woven, layered and nuanced, and capable of striking you right to the core. Gaiman and Pratchett both have an ability to make the reader know exactly what they mean, to pull memories and feelings out of you. So I don’t know what my favourite part of this book is, or even who my favourite cast members are, because the whole thing works together as a single organic unit, breathing and pulsing, as a truly excellent book should. My real favourite thing about it, then, is probably what it has to say about being human — about making mistakes, about how we create the world we live in, what our brains can cope with and how they slide around the things they can’t. The last two pages of this book may be the most incredible commentary on the grace of the human condition I’ve ever read. The book is also hilarious. It’s fantastically witty, and broadly comic, and delightfully absurd. 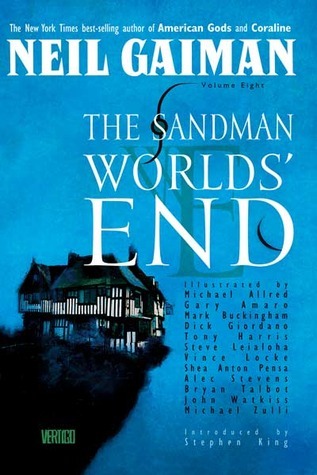 It’s crammed with sly references, as is so often the case with both Gaiman’s and Pratchett’s works, little nuggets of brilliance for an avid reader to discover (individually or with the help of annotations). But none of that is what makes it great. What makes this a five-star book for me is that incisive quality, that ability the words have to cut straight through me and expose my soul. Only the very best books have that magic. Good Omens possesses it in spades. And that’s why I’ve read it so many times, why I can return to it again and again and always feel the book in a new way. At the end of this re-read, I find myself suddenly dying for — not a sequel, precisely, but just some sort of follow-up short story. And wouldn’t this be the year for it? 2012, with all the histrionics that entails? And Adam Young, I realised, would be 33 this year, and how perfect is that? I just want to know they’re all doing — him, and the Them (but especially Pepper), and Anathema and Newt, and Aziraphale and Crowley. What does the world look like for them, 22 years on?